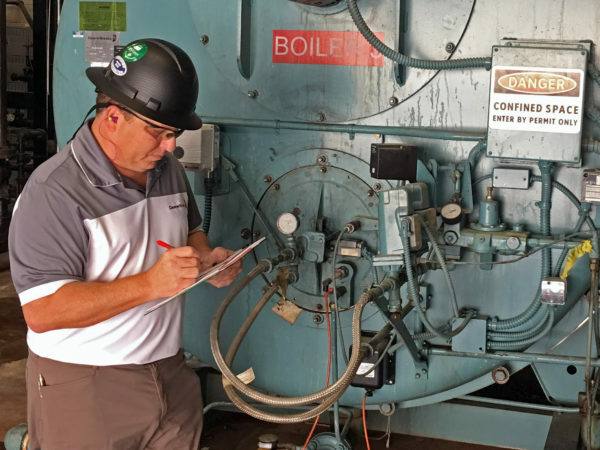 Instrument readings, as appropriate to specific boiler systems, need to be taken daily for low-pressure heating boilers and at least once per eight-hour shift for high-pressure boilers. These readings must be recorded in the boiler log. It is very important that the boiler log be kept in a consistent format in order for trends to be perceived and followed with preventive action. Standard forms are available for this purpose below. However, the log may be more useful if the log form is customized for the particular installation.